So you won't have to go buy more socks the next time you run out of clean ones. 1. Ditch the chemicals and DIY your own detergent. Get all the instructions here. 2. Or make your own laundry detergent tabs. Get all the ingredients and the full how-to here. 3. Skip the dryer sheets for longer-lasting, more absorbent towels. 4. If your towels have already seen better days, use vinegar and baking soda instead of detergent. Boost absorbency and get rid of the towel stank for good. All it takes is two washes in hot water; the first with vinegar, and the second with baking soda. 5. 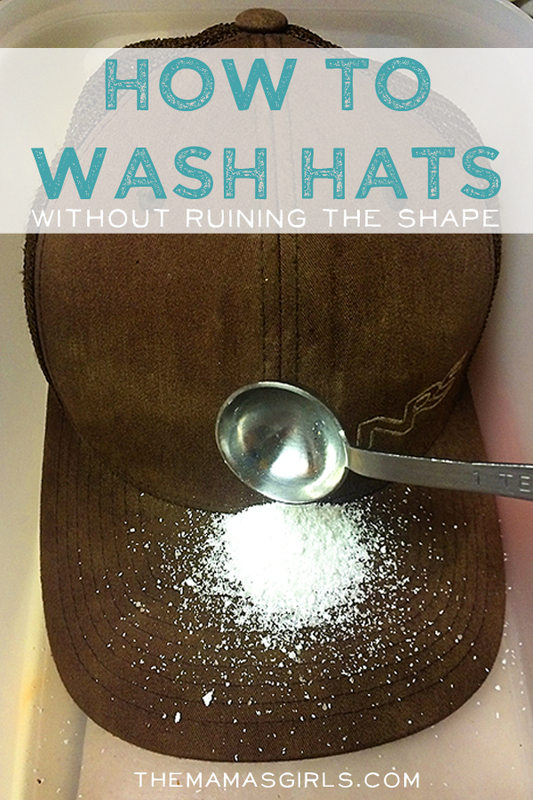 Learn how to wash your filthy baseball cap. 6. Use a simple reminder board to help sort your clothes upfront. 7. Unshrink clothes using baby shampoo and a towel. Just soak the shrunken piece of clothing in lukewarm water and baby shampoo, work through to relax the fibers, and gently stretch. Get the full tutorial here. 8. To prevent the dreaded sneaker bang, wedge knotted laces in the dryer door. 9. Or buy one of these ingenious sneaker dryer bags. Like this one from Amazon. 10. Use a salad spinner to remove excess water from clothes you don't want to put in the dryer. Air-dry time = cut in half. 11. Skip the dryer sheets — use long-lasting dryer balls instead. Soft and fluffy sheets without the waste or expense. Also, HEDGEHOGS. 12. Or DIY your own using aluminum foil. Bonus points for softening while the aluminum reduces static. 13. Learn to decode the laundering tags on your clothes already. 14. To prevent color fading, toss your clothes in the wash with a teaspoon of salt. Keep your brights brighter AND prevent color bleeding on the first wash.
15. And wash dark clothes inside out to keep them from fading, too. 16. Make sure you're washing things at the right temperature. It may sound obvious, but not all detergents work in cold water! Double-check before you set your machine. 17. Keep your sweaters in shape by drying them flat instead of on a hanger. Items that easily stretch out — like sweaters — should be laid on a hanging rack (like this one) or any flat surface. 18. Clean your washing machine on the reg. You clothes can't be clean if your machine isn't. Get the how-to for both front-loading and top-loading washers here. 19. Not all stains are created equal. Learn how to remove each one for spotless clothing. The University of Illinois published an extended stain guide for ultimate removal. Save your clothes! 20. Save time and energy by throwing a dry towel into your dryer with your wet laundry. This will reduce moisture in the dryer and speed up the whole process. 21. Stinky jeans have no chill. Skip the washing machine and keep them in the freezer between wears. The cold will apparently kill bacteria that causes odor. Just remember to let them warm up before putting them on. 22. Hate ironing? Try to eliminate wrinkled shirts and dresses with this speedy hanging hack. 23. Learn how to fold a tee in two seconds for a fast and efficient post-laundry routine. Way better than piling your clothes on the floor.